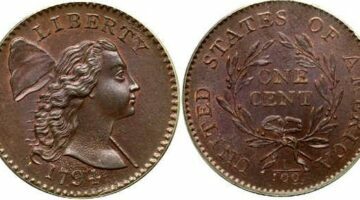 A scarce and rare coin will sell for considerably more than a common coin. Some rare coins are error coins. Others are just old and/or they have low mintage numbers. 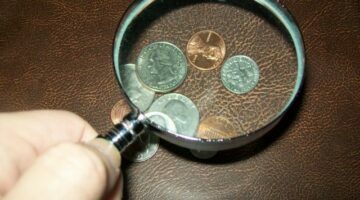 See a list of rare coins you can actually still find in circulation -- rare pennies, rare nickels, rare dimes, rare half-dollars, and rare dollar coins. 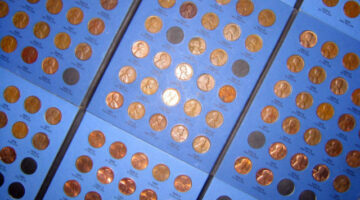 You'll find a lot of rare pennies mentioned here with their current values. 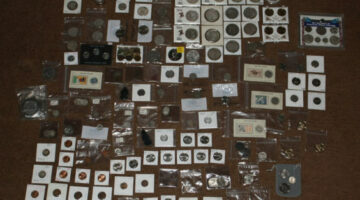 Plus the rarest coins from popular coin series -- like 50 States quarters. 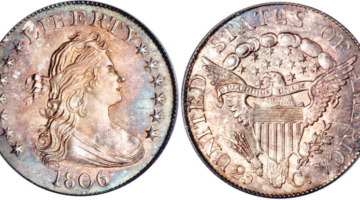 If a U.S. coin is scarce or rare, we're talking about it here! Check out the 1965, 1985, and 2005 values of rare Morgan silver dollars – from the years 1878 to 1904. 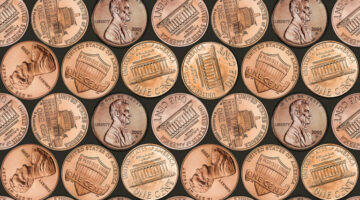 Have old pennies and want to know how valuable they are? 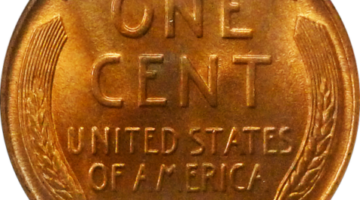 Check out values for some of the rarest pennies here. 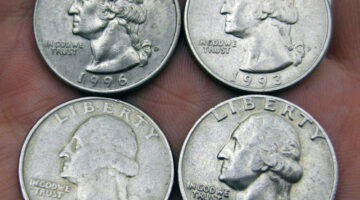 Rare Mercury Dimes: How Much Are They Worth? 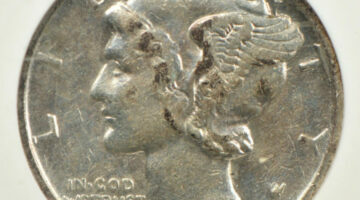 Many coin collectors love rare Mercury dimes. 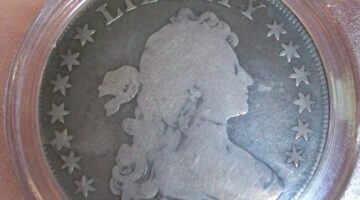 Find out how much these classic United States silver coins are worth. Check out these 10 famous coins that aren’t too expensive for you to afford! 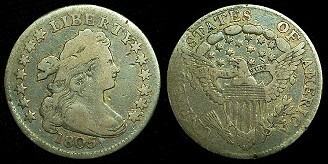 The Bust quarter was made from 1796 through 1838 and was the first design ever used on the United States quarter.